Cardiff City manager Russell Slade says newly appointed goalkeeping coach Martyn Margetson will bring a wealth of experience to the club. Former Wales international Margetson made 32 appearances for Cardiff between 2002 and 2007 and later became goalkeeping coach. 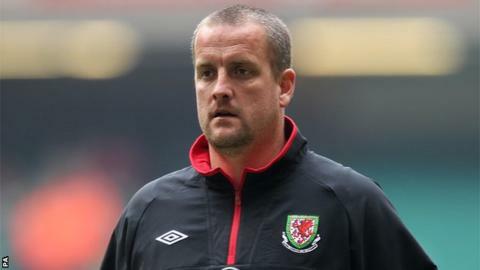 Margetson, also part of Wales' backroom team, has left the role at West Ham United to rejoin the Bluebirds. "The knowledge he can pass on is terrific," Slade said. "He'll give us vast experience. He's going to embrace the challenge and he's looking forward to it. "He's a good type and has worked with Marshy [David Marshall] before and they know each other really well. "It will be a good partnership I'm sure." Margetson was among Cardiff's backroom team for the 1-0 defeat at Millwall having returned to the club for a second spell at goalkeeping. The 43-year-old former Manchester City and Huddersfield Town keeper had been at West Ham since 2011.